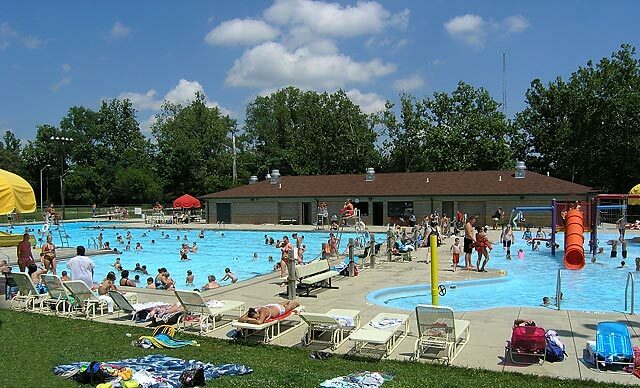 Bring the family for an enjoyable day of fun in the sun at the Cordell Municipal Pool located at 9 Southwest 13th Street. The pool offers a 1-meter diving board, a 151 foot water slide, and a 2-foot depth section connected to the main pool. In addition a "Splash Pool" is available for the little members of the family. A concession stand is also available offering a variety of snacks and drink items. Regular Season: May 30 - August 8. Monday - Saturday: 12-6 pm; Sunday: 1 - 6 pm, weather permitting. **each additional person $15Click here to download a Season Pass Form! Are you a Certified Lifeguard? Do you want to sell concessions? We are looking for Certified Lifeguards and Concession workers! Download an application regarding these positions! Following the American Red Cross Standards, the Learn to Swim Program offers an opportunity for people of all ages (6 months old and up) to learn basic swimming skills in an enjoyable environment. Each class is limited in size to allow as much one-on-one instruction as possible. All classes are progressive in design and will be taught by qualified instructors. Those who successfully reach the goals for each level will receive an American Red Cross Swimming Card. All sessions cost $45, and registration required. Call the Park Office at 983-7275 or the Cordell Municipal Pool at 983-7292 for more information. Bring the family for an evening of fun at the pool. Jump off the 1-meter diving board and barrel down a 151 foot water slide! In addition a "Splash Pool" is available for the little members of the family. Family Nights at the pool are Tuesdays and Thursdays 7:30 - 10 p.m., weather permitting. **Anyone under the age of 18 must be accompanied by a parent or guardian. Regular entrance fees apply. Swimming is wonderful exercise and a great way to start your summer days! Adult Lap Swim is for anyone 18 and older, and begins on Monday June 5. Adult swimmers are welcome Monday - Friday from 5:30 - 6:30 am for only $1 per day.